In the lead up to the first-ever ADNOC Abu Dhabi Marathon, and as part of a continuous effort to promote healthy and active living in the capital, ADNOC Abu Dhabi Marathon has launched a series of free Community Training Programmes. 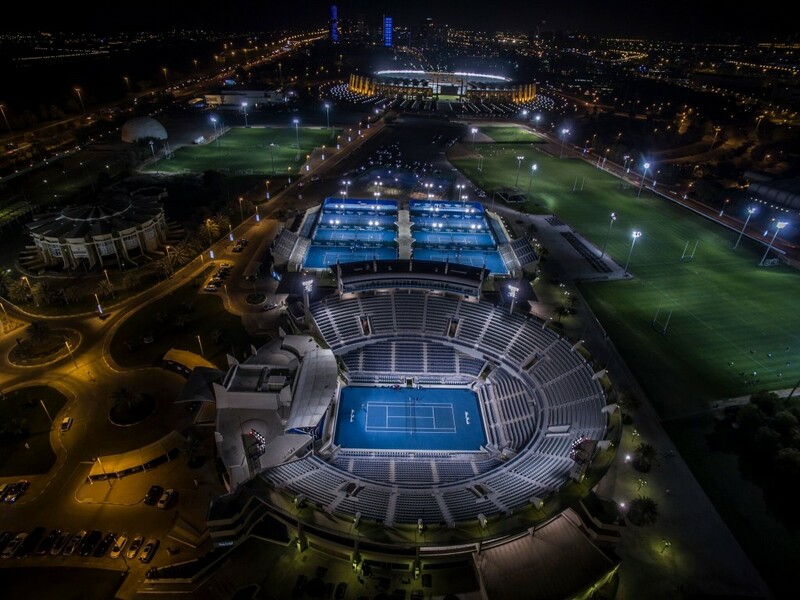 Taking place every Monday at the International Tennis Centre at Zayed Sports City, the new programme, driven by the Abu Dhabi Sports Council, will take place from 19:45 to 21:15, running until November 26. Participants will be able to hone their running skills through intensive workouts with renowned coach Youssef Rochdi, a member of USA Track & Field Association (USATF) and multiple winner of USATF long distance championships. All coaches will work closely with participants to help them build general strength, increase their weekly mileage, and provide advice on workouts which they can do on their own between the weekly sessions. H.E. Aref Hamad Al Awani, General Secretary of Abu Dhabi Sports Council said: “As we launch the Community Training Programme, we reaffirm our commitment towards encouraging a healthy lifestyle amongst residents and visitors. The running schedule of the weekly sessions will comprise a wide-range of workouts, including general physical workouts, fartlek, easy runs, intervals, long runs, tempo runs and up-hill workouts. The ADNOC Abu Dhabi Marathon is a new global sporting event for the Emirate and strengthens the capital’s positions as a leader in spearheading the sporting scene in the region. The race is open for all categories and will be held over a 42.195-kilometre (26 miles, 385 yards) course that will showcase the landmarks of the capital to a global audience. The race will bring together professional athletes, novice runners and thousands of people under one umbrella, offering them a chance to participate in a series of events from 2.5km and 5km fun runs, to the 10km and full-distance marathon. To find out more, visit the website: www.adnocabudhabimarathon.com. Athletes can also follow and interact with ADNOC Abu Dhabi Marathon on a variety of social media platforms. 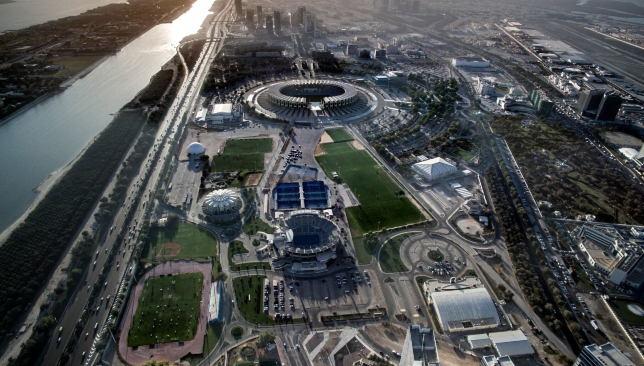 Abu Dhabi Sports Council (ADSC) was established in 2006 by His Highness Sheikh Mohamed Bin Zayed Al Nahyan, Abu Dhabi Crown Prince and Deputy Supreme Commander of the UAE Armed Forces. The world-renowned obstacle course challenge – the du Tough Mudder, will return to the UAE later this year with registration still open. Hamdan Sports Complex will be the venue on December 7 and 8 for the third edition of the du Tough Mudder and du Mini Mudder as individuals come together on a life-changing adventure and face the ultimate challenge of physical strength, stamina and mental grit. Over the coming weeks, du Tough Mudder will reveal brand new and exciting obstacles while the most popular ones from 2016 and 2017 will return. Among those are Everest 2.0 – where it will be the fastest you’ll ever summit this mighty mountain, but the fall is just as quick. Fun and challenging obstacles – Electroshock Therapy and the Blockness Monster also return – where mudders will have to push, pull and roll their way through 60ft of slick, rotating barriers. This year’s edition will also include a 10k course with more obstacles and more mud than ever before, while the du Mini Mudder will challenge children aged between 7-13 with a fun and engaging 1.5k obstacle mud run on a newly designed course. In order to ensure you are ready for the event, organisers have appointed The Warehouse Gym as its Official Training Partner and is working closely with the brand to create a series of training plans to get participants ready for their challenge. These plans are available for download at www.toughmudder.ae/training-plans/. Since making its debut in 2016, the event has gone from strength to strength and Christian Moufarrej, event director for du Tough Mudder is convinced 2018 will be another massive hit. 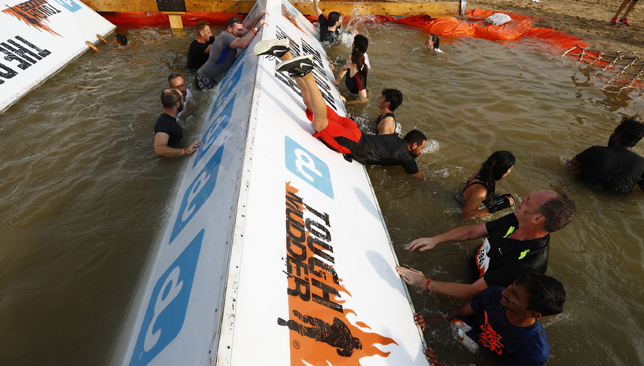 “The Tough Mudder brand has continued to grow from strength year on year since launching in Dubai in 2016,” he said. “The thrilling obstacle challenge prides itself on delivering the best in class obstacles that you can’t find anywhere else and we are constantly working to further enhance the participant experience. We anticipate the 2018 edition of du Tough Mudder to be another huge success across the UAE and not disappoint our Mudders”. Abdulwahed Juma, executive vice-president – Brand and Communications, du, added: “We are delighted to bring du Tough Mudder back in Dubai for the third consecutive year. Our motto is to add life to life to people, and this event is a physically-daunting, and yet, a challenging way for people to engage in exciting outdoor activities that lead to a healthier lifestyle. You can register now at www.toughmudder.ae with prices costing Dh360 for the du Tough Mudder course and Dh55 for du Mini Mudder. 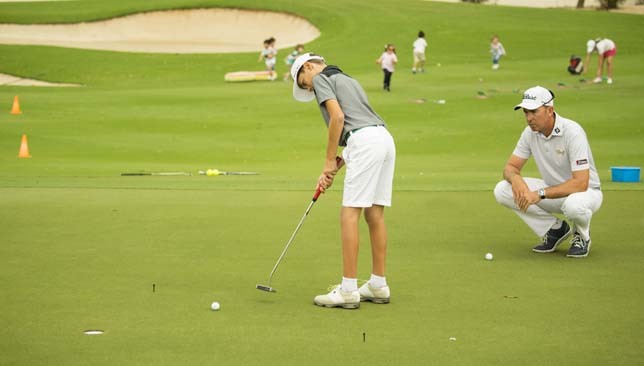 The Butch Harmon School of Golf are opening the doors of their world-class facilities to young Dubai residents for a fun-filled, family open day on Saturday 15 September. Taking place from 16:00 – 18:00, golfers aged between 3 and 15 years old will have the chance to try out and develop their skills such as pitching, putting and driving as well as hear from expert coaches about their Junior Development Programmes, which commence on Sunday 30 September. The programmes on offer cater to various levels and are spread across three nine-week terms which will ensure that each player is able to develop their skills in a fun, creative and enjoyable environment. It also includes a coaching session, a supervised practice session and a session on the course each week. There’s even more reason to attend this weekend. That is because those that sign up to any of the Butch Harmon Dubai’s Junior Development Programmes at the open day will receive an additional 30 minute lesson, which can be used in September. Aspiring golfers will not be short of options when it comes to choosing programmes. There are four courses on offer. Active Start, aimed for 3 and 4-year-olds is priced at Dh870, while one-hour Fundamentals (aged 5-15) costs Dh1,100. The Intermediate level Course Ready, which is 90 minute sessions, is Dh1,500 while the Advanced Tournament Ready programme is Dh2,000. The price includes one group coaching course as well as one supervised session during the week. Contact: For more information, please contact 04 425 1040 or email [email protected].